Get into this amazing beauty and look ravishing in this stylishly designed prom gown. The bust is highlighted with the beads giving maximum attention to the wearer. 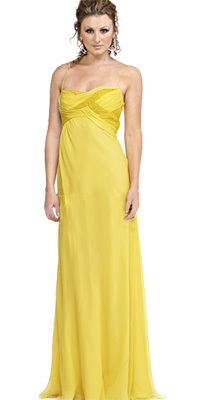 Eh thin straps hold the gown on your beautiful shoulders. The empire waist bodice and A-line patterns are eye catchy features.